Carnivorous plants make a great gift for any plant lover, children of all ages, and people wanting to control household pests biologically. Your gift of a carnivorous plant to a family member or friend will leave a lasting impression. If you are looking for quality, healthy, and affordable carnivorous plants for sale online, you arrived at the right place. If you are unsure what you should buy, do not hesitate to contact our team by using our contact form. 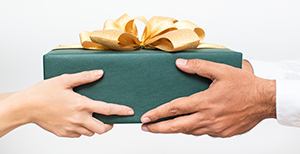 Let us know about the person who will receive your gift and we will help you.